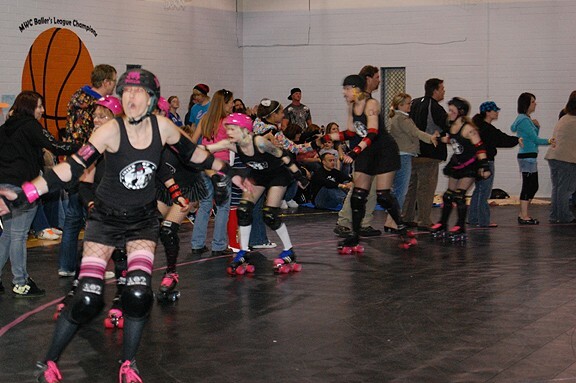 The O-Town Derby Dames took the rink in front of a jam-packed crowd in the tight quarters of Ogden’s Marshall White Community Center Saturday, ---much improved from their best-forgotten 2009 season and ready to throw down some roller derby. 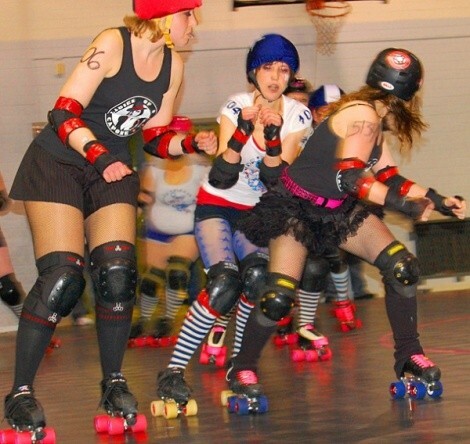 However, the OTDD’s two home teams, the Ladies of Capone and the Sailor Marys, faced the same problem their fellow Ogden derby league the Junction City Roller Dolls did a couple of weeks ago in their own season opener: The teams weren’t quite evenly matched. From the first whistle, the black-clad Ladies of Capone dominated the white-shirted Sailor Marys; the LCs played aggressively on both offense and defense fronts, and the SMs could never step up to catch up. Capone jammers Skull Candi and Smash Leigh went on several unchallenged scoring tears, racking up points and leaving the Marys in the dust. 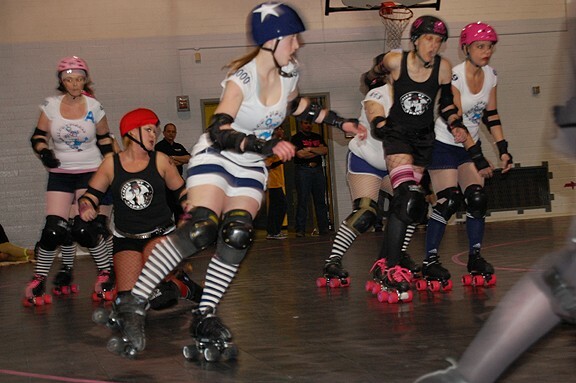 Score at halftime: Ladies of Capone 104, Sailor Marys 62. 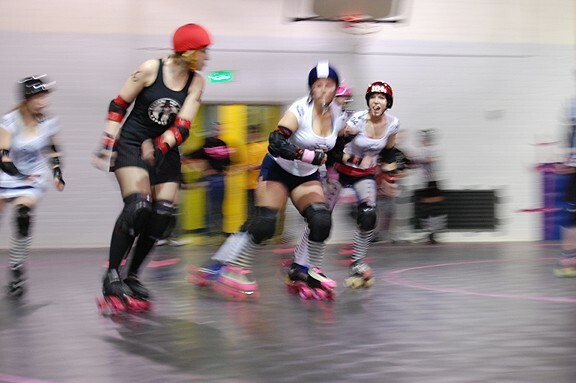 In the second half, Marys jammers Corre Caminos and No Name Dame made several serious runs at evening the score, but were undone by the Capone defense at almost every turn. 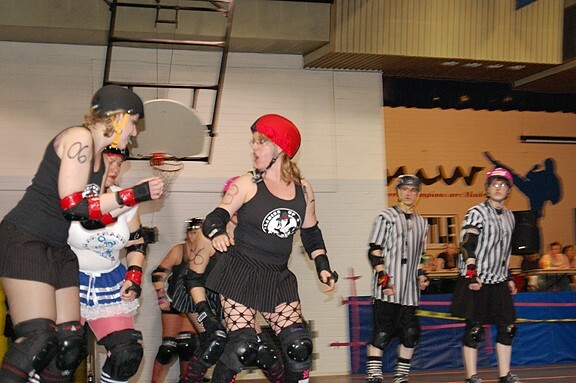 In particular, hyper-aggro Skull Candi played like she’d just been let out of a cage whether blocking, jamming or just looking to knock a girl—any girl—to the court floor. 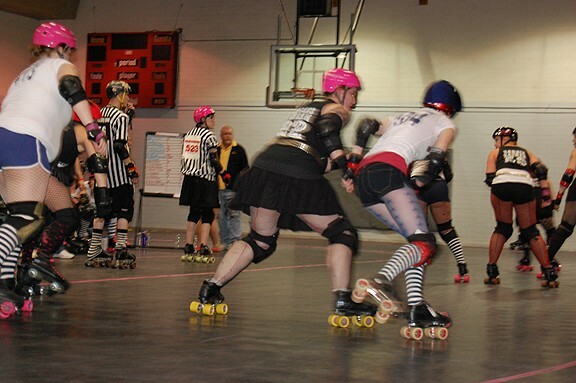 Final score: Ladies of Capone 198, Sailor Marys 128. 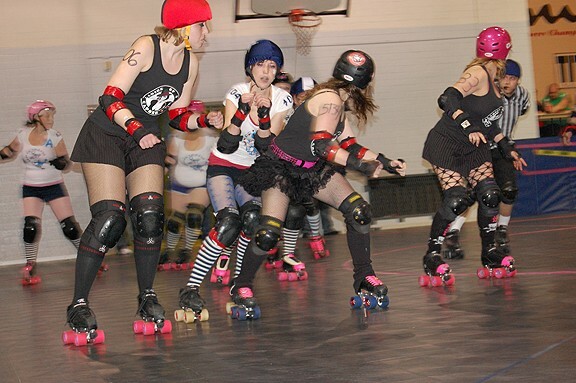 The next O-Town Derby Dames bout happens Saturday, April 17, when the OTDD face off against Salt Lake City’s Wasatch Roller Derby at the Marshall White Community Center in Ogden (222 28th Street). 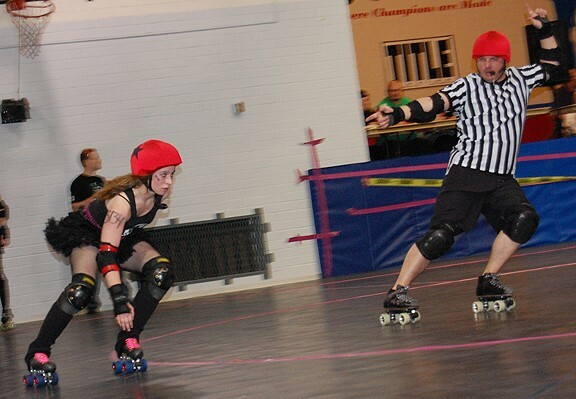 Tickets and info: OTownDerbyDames.com. 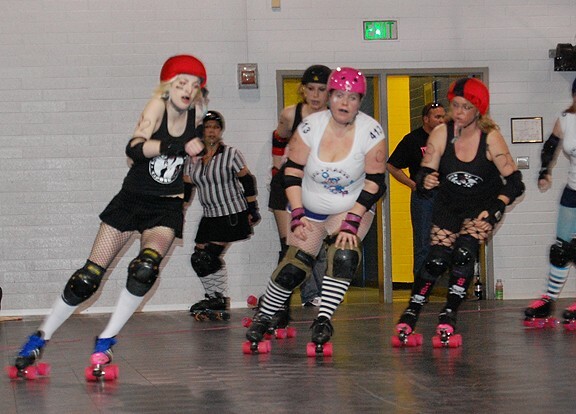 In other weekend roller derby news: The Salt City Derby Girls traveled to Las Vegas Saturday to take on the Sin City Rollergirls—and, just as when Sin City came to SLC last year, the SCDG handily defeated them on their own home turf, 119-68. 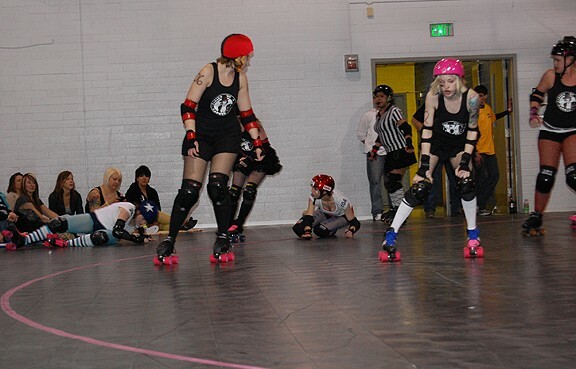 The Salt City Derby Girls kick off their home schedule on Saturday, April 24 at the Salt Palace. 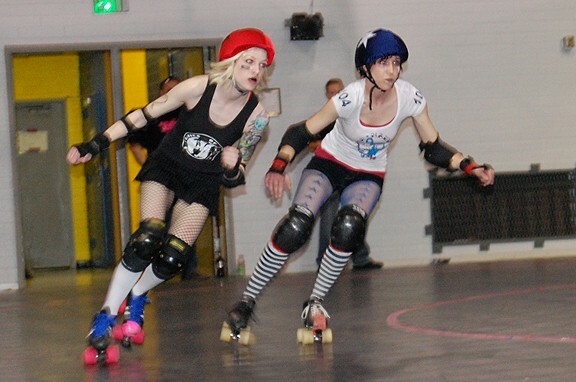 Full sked for all four local derby leagues: Utah Roller Derby: 2010 Preview.